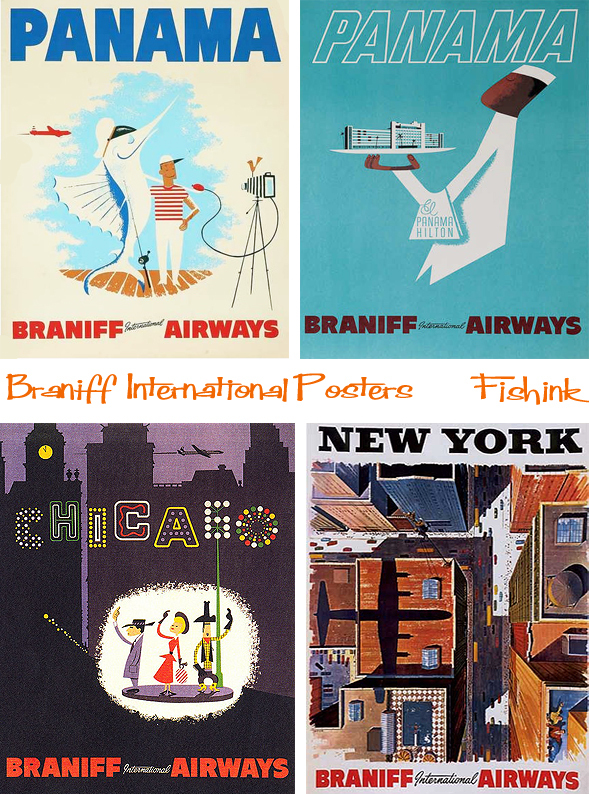 The Braniff brothers started a new airline in 1930, named Braniff Airways, Inc. Braniff Airways began service between Oklahoma City and Tulsa and Wichita Falls, Texas, with Lockheed Vega aircraft. 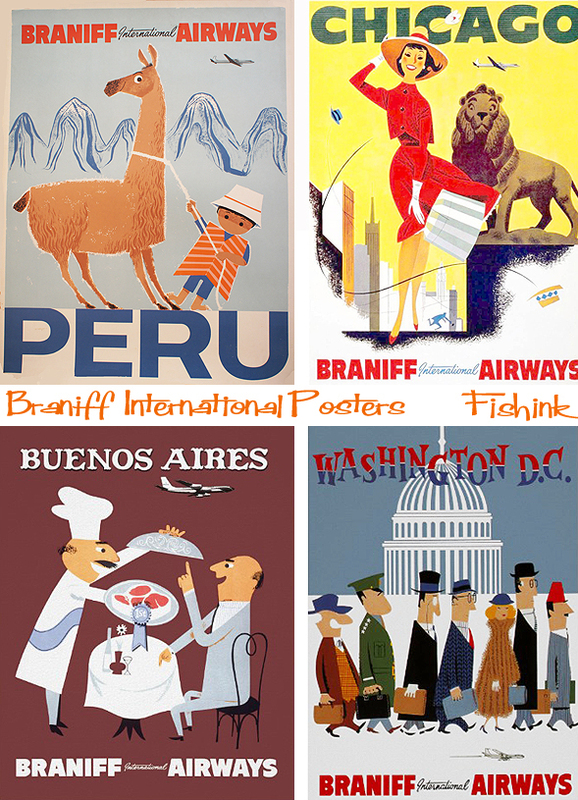 Braniff’s long-term survival was assured when Paul Braniff, then general manager, flew to Washington, D.C. to petition for the Chicago-Dallas airmail route. 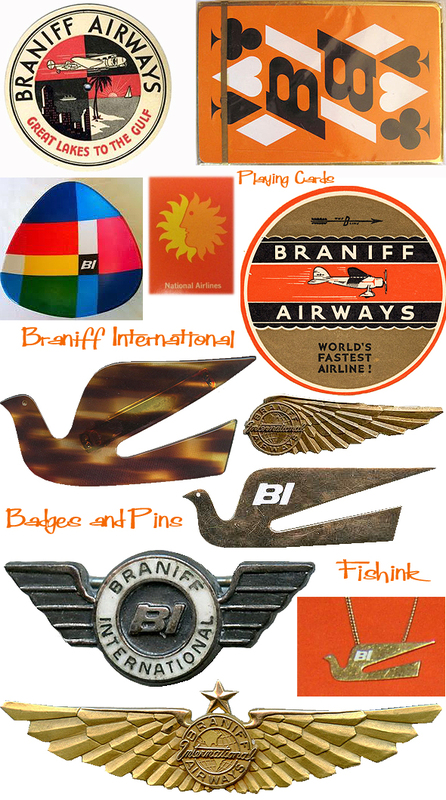 The United States Post Office granted Braniff its first airmail route in the wake of the 1934 Air Mail scandal. 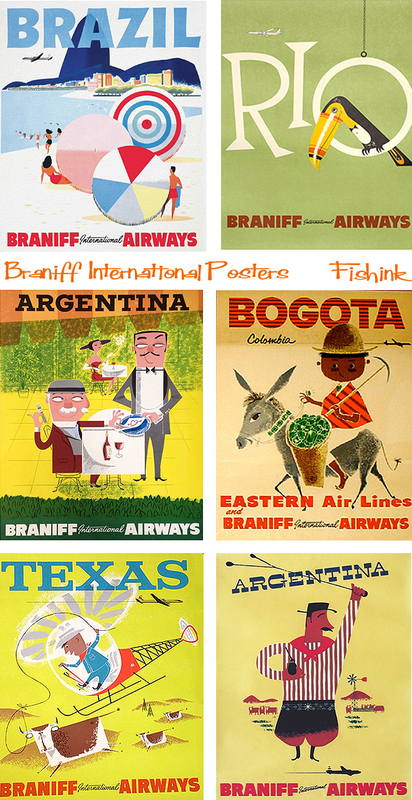 In 1935 Braniff became the first airline to fly from Chicago, to the U.S.-Mexico border. 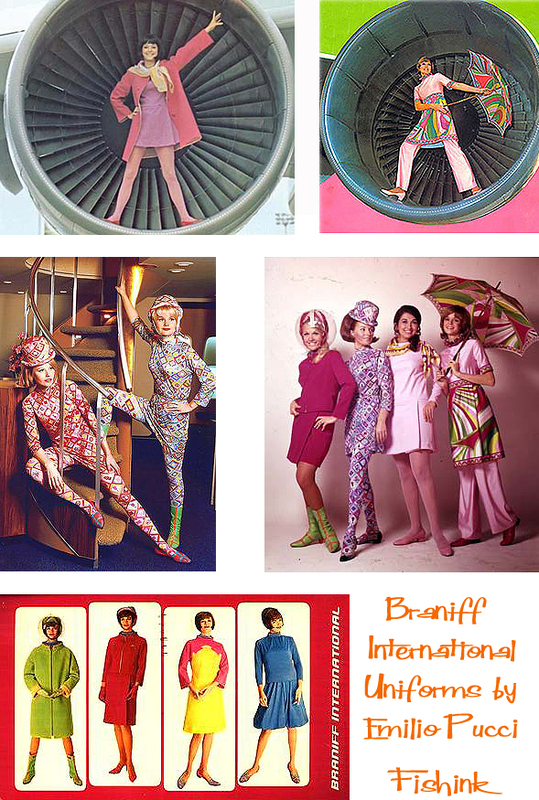 In 1968, Braniff opened the amazing “TERMINAL OF THE FUTURE” at Dallas Love Field. The terminal had a rotunda concourse and a mono-rail system (opened in 1970) to transport passengers from their cars to the Braniff concourse. 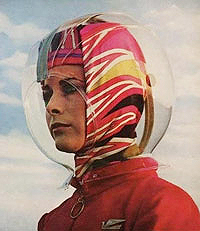 It was named the “JETRAIL” system. 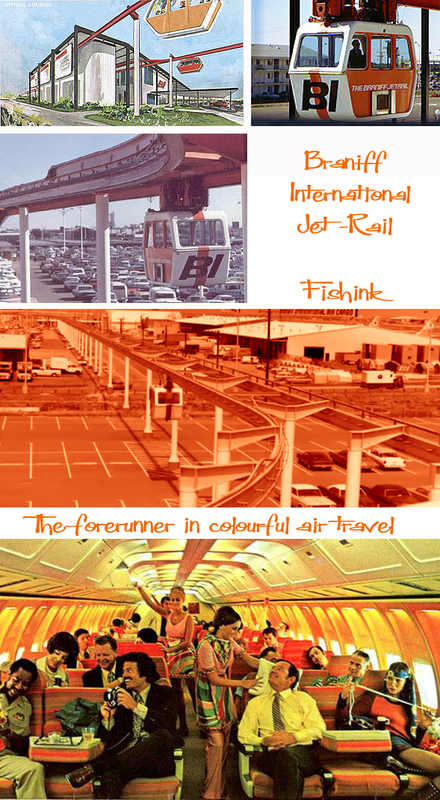 However, the mono-rail was only used 4 years because of the move to D/FW Airport in 1974. Waco, Texas briefly considered using the “Jet-Rail” for tourism, but that plan was eventually scrapped. The “Terminal of the Future” was designed by Jack Corgan (who had designed the rest of Love Field) and was decorated by Harper and George using Alexander Girard, Herman Miller and Ray and Charles Eames designs. 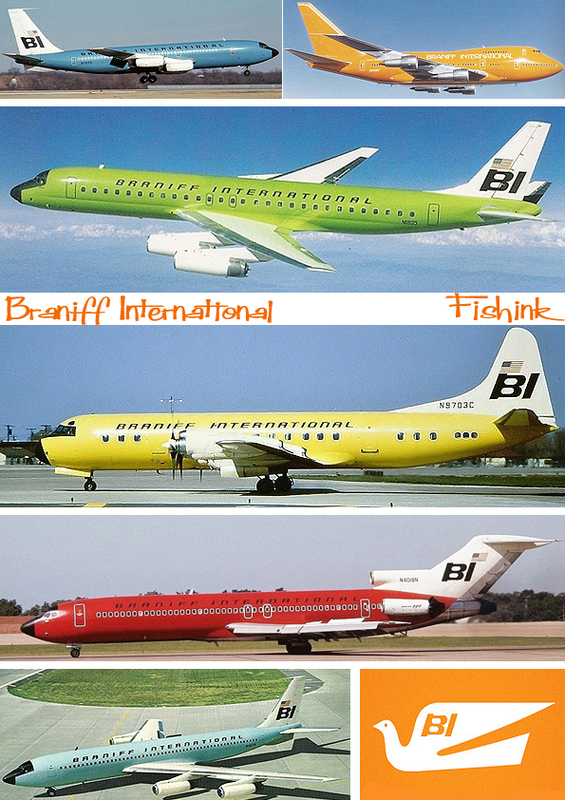 Braniff transformed its jets with pastel coloured paint jobs. Orange, beige and baby blue were ‘in’. Designer Emilio Pucci unveiled new ‘stewardess’ uniforms that looked like something the Jetsons would wear. There was no one uniform look. Cabin crew were given a capsule wardrobe of symmetrical outfits and multiple outfit changes were standard on flights –so the crew would sport a different look at boarding, meal times and on night and day flights. And it wasn’t just the uniforms that were colourful. Sadly Braniff expanded too quickly and suffered from rising fuel prices and the Airline Deregulation Act in 1978, which opened the door to aggressive airline competition. 31 years ago, the airline sadly flew in the direction of many carriers today – into bankruptcy. Fortunately there’s still plenty of fab ‘n’ groovy artefacts available for us to marvel at. Best of all were the range of wonderfully designed posters. Seeing these sparked my interest in the company and then through my research. the whole colourful story unfolded. 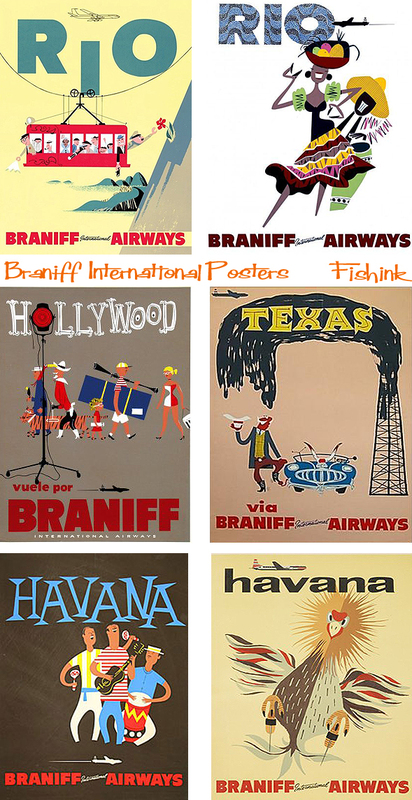 Many thanks to Braniff Pages for some of the information on this post, and there’s more on the Braniff International site too. If you enjoyed the post you may also like this one about Pan Am Airlines, please share Fishink Blog with your friends and online thank you. Love it all! What fantastic uniforms and look at all the seat space! Nice posters, but the ‘air strip’? Oh how corny and sexist. Sad sign of the times. The colours are amazing tho if you can get past the terminology of the day.